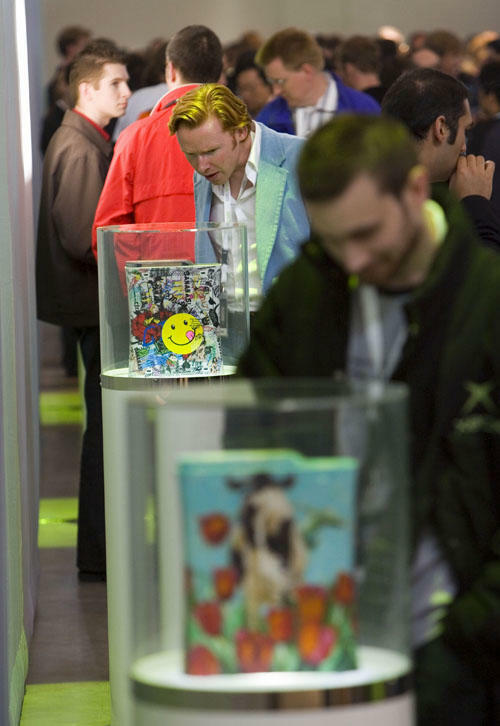 Here is a nice write-up of the first day at X05 including some pics from the numerous artsy Xbox 360s they had on display. I didn't know the qeer eye guys were there (doesn't he look like the blonde one? ).